Shipping Dimensions: 9" x 9" x 4"
This easy-start hydroponics kit helps kids learn about plant life cycles and growth, and is complete with fun, engaging journal activities. 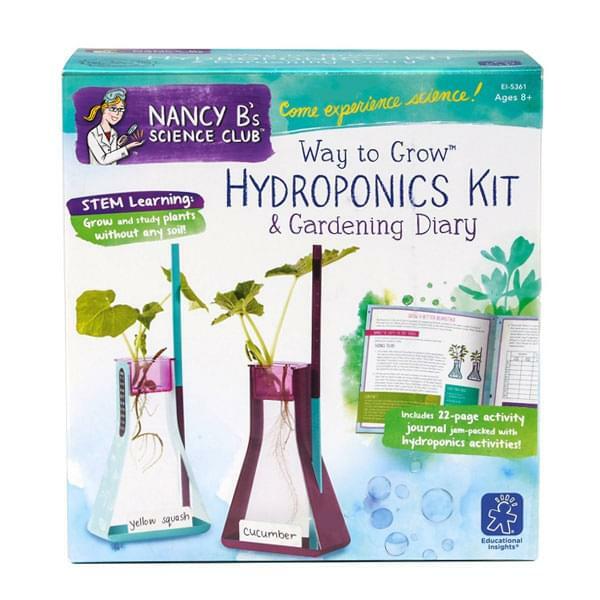 The Gardening Diary includes hydroponics experiments that encourages creativity, an interest in biology and natural discoveries! Perfect for your future gardener! 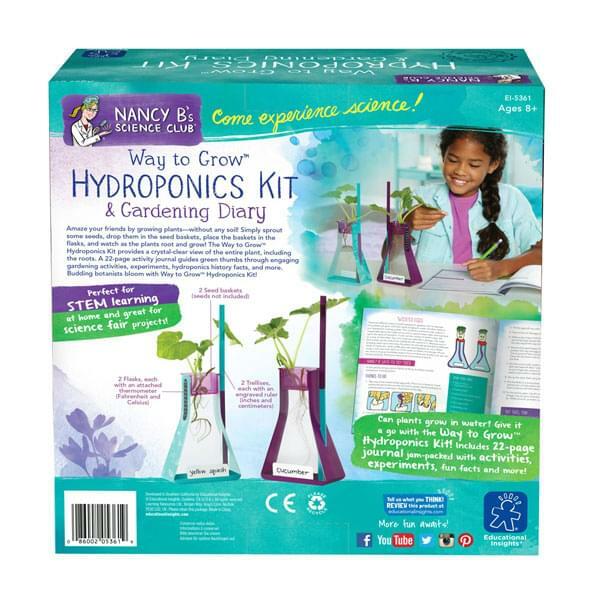 If You Liked Educational Insights Nancy B Way to Grow Hydroponics Kit, See More Related Products Below!